With great sadness the county passes on the news from Angie’s family, that she sadly passed away yesterday, 5th April 2019. Angie was our dear county secretary for many years, working tirelessly for both Northamptonshire and her club Kettering Archers. She will be greatly missed by everyone. Here’s a message from her family. It’s with tremendous sadness that Liz and I have to share that we said goodbye to our Mum (Angela) last night. She passed away after having battled against a rare form of head and neck cancer for the last two years. 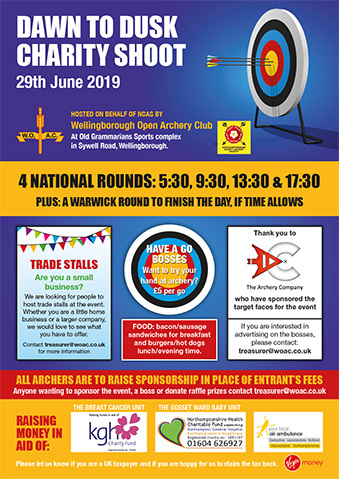 Even in the face of a terminal diagnosis just under a year ago, Mum never let her illness stop her from doing the things she loved – including supporting her grandchildren (Kayleigh, Kieran Kate and Megan) her archery work and leadership with Kettering Archers and NCAS, & her teaching work with Tresham College. Mum had a strong faith which helped her through the last few years, as well as coping with the loss of our Dad, & then subsequently her partner Chris, both to other forms of cancer. She was an active member of Carey Baptist Church, and was attending services regularly right up to last Sunday. It’s impossible for us to put into words how much she was loved, and how much she will be missed by us all. We’ll confirm funeral arrangements over the next few days via regular channels. 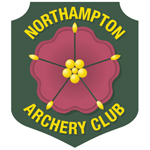 The results are available from Northampton AC’s Open Portsmouth Tournament held on 26th Febraury 2017 at Moulton College, Northampton. The results from this shoot count towards the Chris Mason Celebration League, which will be updated asap. Eagle Bowman of Bedford are holding a charity shoot on Sunday 20th November 2016, in aid of Road Victims Trust. 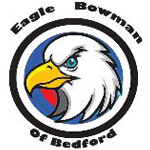 All target faces, medals and trophies have been donated by members of Eagle Bowman of Bedford. An excellent raffle has been organised, with many great prizes!!! The County has received approval from Archery GB to run a Level 1 coaching course at Montsaye Academy, Greening Road, Rothwell NN14 6BB. The course dates are 3rd & 4th September, and 1st October with the assessment on 27th November 2016. 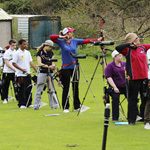 Interest in this course is very high, and the County will be hoping to run at least one level 1 coaching course a year. So if you’re unsuccessful in getting onto this course, a place can be reserved for you on the next one. For further information contact the course organiser Angie Bray. NCAS 1st Caswell – Now Full! 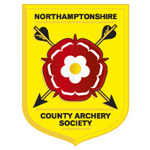 The NCAS 1st Caswell on 1st May hosted by Kettering Archers is now indeed full.